Holiday breakfast, game day eats, or the morning after things got a little carried away at the bar. A wonderful late night indulgence, my personal fav. Also, the perfect no-cook spread for entertaining. 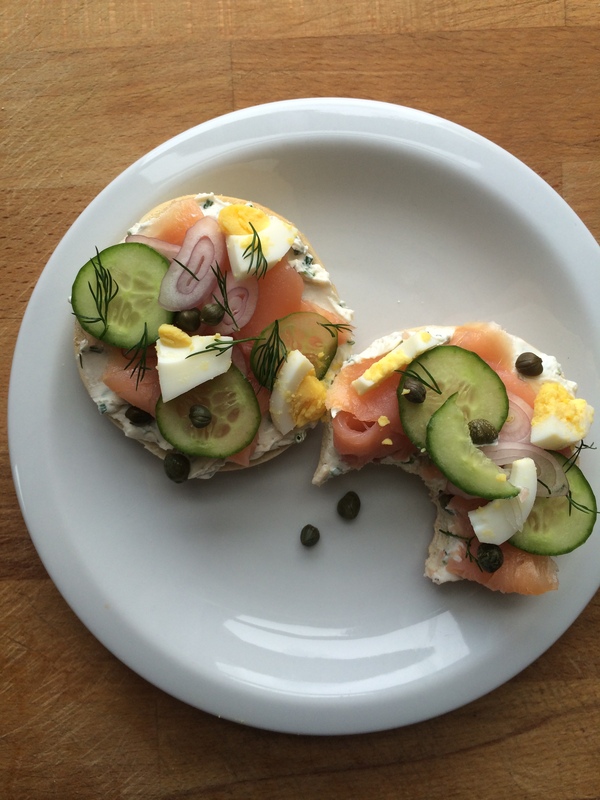 The ultimate bagel wears many hats, and they all look stylish. Here’s how to put on your “entertaining” hat: The morning of, head to the store to buy freshly baked bagels. Fresh bagels are a must! 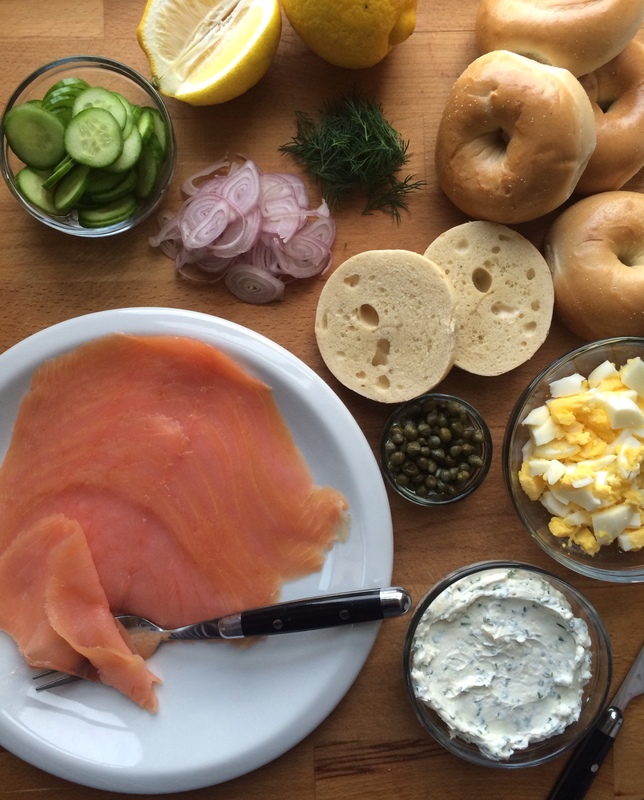 Arrange a platter with smoked salmon, doctored up cream cheese, and all the fixings. 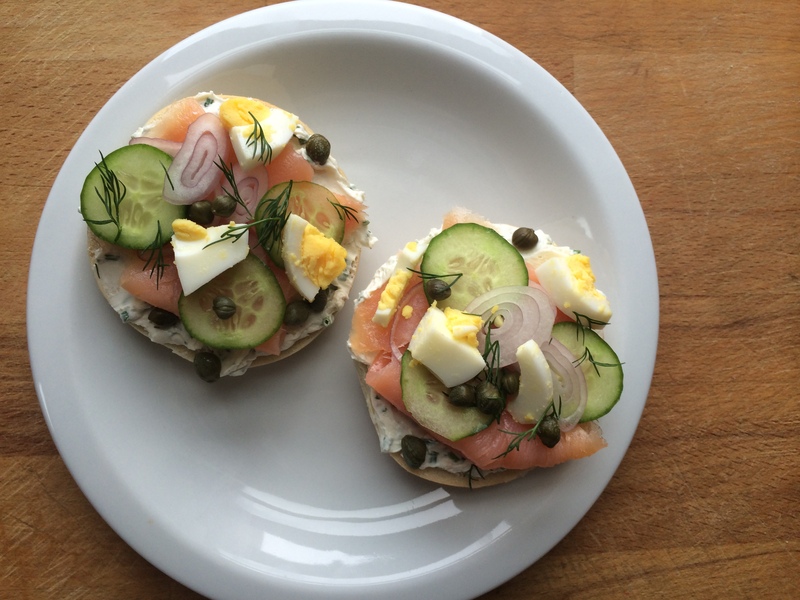 (Capers, hard boiled egg, dill…etc.) Set up a toaster. Mix up a batch of Bloody Marys, and chill some champagne. 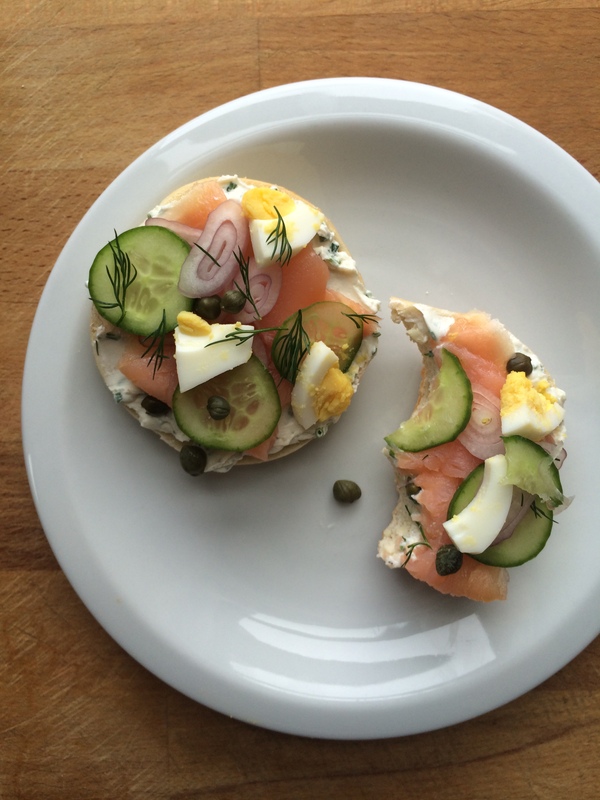 Let your guests fancy up their bagel according to personal specifications. To toast or not to toast? Bloody Mary or mimosa? THESE are truly the important decisions you should be pondering in the morning. Toast bagel (or leave un-toasted if you prefer). Smear with cream cheese spread. 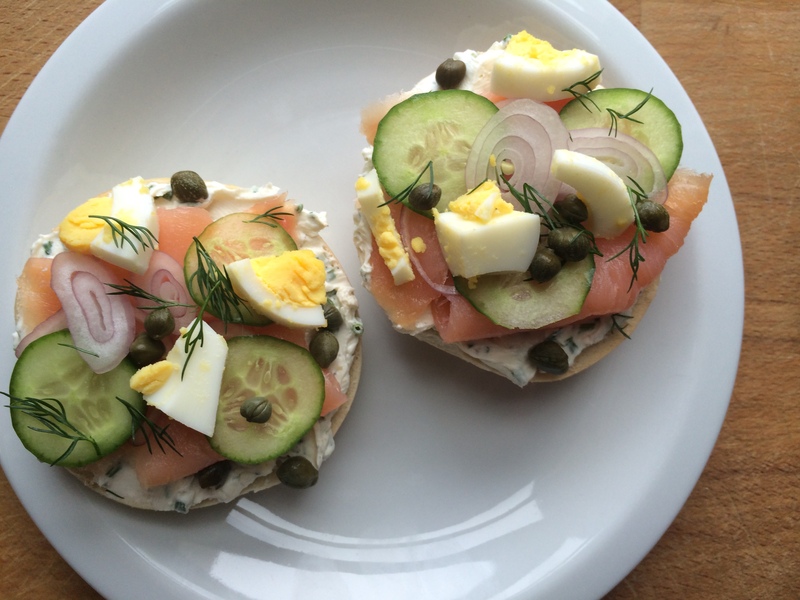 Top with desired amount of smoked salmon, shallot, cucumber, egg, capers and dill. Squeeze with fresh lemon juice and finish with freshly cracked black pepper. Serve open face. Combine ingredients and mix thoroughly. Refrigerate until ready to use.